The month of March is unquestionably the month of the heavyweights in boxing. 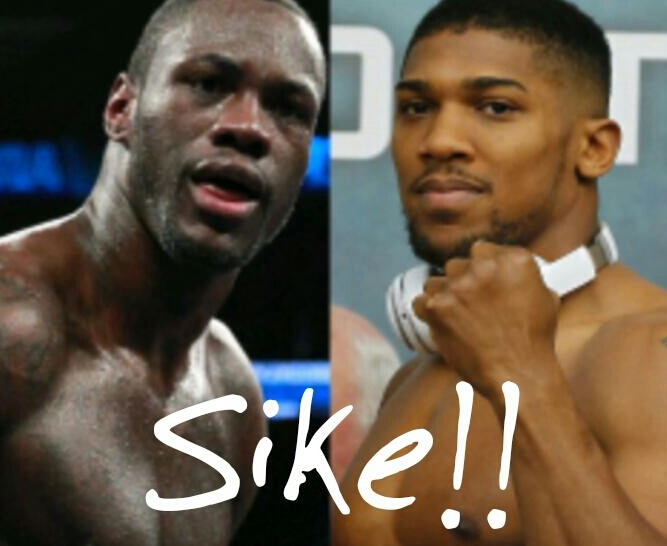 With Deontay Wilder vs Luis Ortiz to kick off the month and Anthony Joshua vs Joseph Parker to cap it off, we can only hope as fans we are one step closer to deciding who is THE man and of course the fight everyone wants in Joshua vs Wilder. As it stands both Wilder and Joshua have a somewhat legitimate claim and Joshua can add to his case should he be able to pick up the WBO belt from Parker later this month. Of course if Joshua or Wilder should lose then everything would be up in the air as almost certainly a rematch would take place immediately. The likelihood of a Joshua/Wilder fight happening next has improved recently though as it seems both fighter’s want the fight. It’s just a matter of working out a deal where everyone is satisfied. “Anthony is happy to go into that fight next, Hearn told Sky Sports News before stating the problem would be the purse deal. “Wilder was talking about he wants a 50-50 split. This is ridiculous, we’re going to have three belts, he’s got one. “He’s doing his thing in America. Now he’s saying that he will take any split, as long as that split is reversed in the rematch. No problem with that. Again, pick up the phone, call me Deontay. It’s very easy, we can get it done over a cup of tea and a slice of cake. “America is fine. We’ll do two fights. There’s loads of different ways we can do the fight, but let’s just get it made,” he added. There’s no way a 50-50 split will happen plain and simple. It’s simply not logical. No matter who has what belts, Joshua is the draw. He is arguably the biggest star in the sport right now. It’s between him and Canelo Alvarez, everybody else is far behind. With the problem of Wilder demanding 50-50 out of the way and both sides seemingly saying they are happy to flip the deal in the event of a rematch then I got to ask what excuse will they have should it not happen next? We as the boxing media and fans need to put the pressure on them to make this happen.